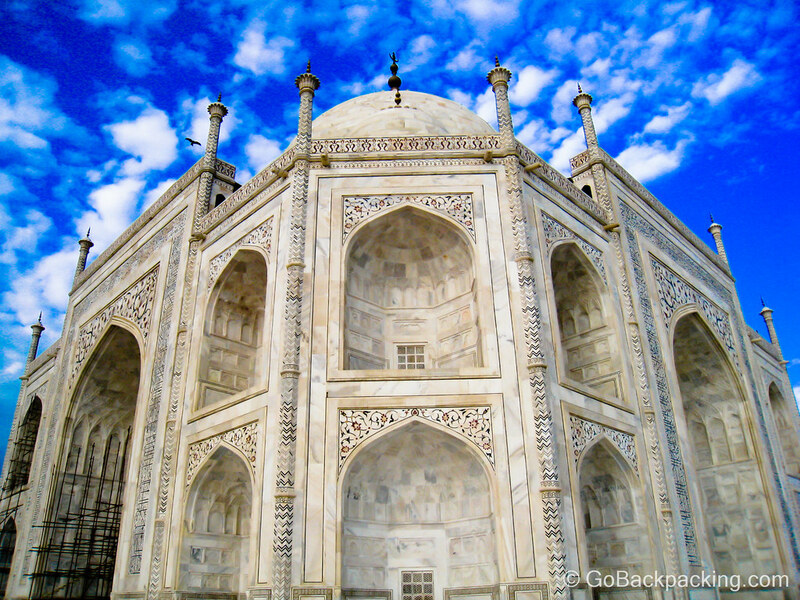 Visiting the Taj Mahal in Agra was one of many highlights from my time in India. Waking up at the crack of dawn to get in early, I took the requisite photos from the head-on perspective, however this random view of the Taj Mahal from a corner angle immediately became my favorite from the day. Already familiar with the architecture before setting foot in Agra, I was surprised to find the building completely covered in precious stone inlays. Inside the building, where it's darker, you can even hold a light up to them and certain types of stone will glow.